Earlier today we told you about a new Samsung phone that surfaced on Geekbench. The model number of that handset is SM-G9600, and as we told you in the earlier story, the device is powered by the sdm840. This could be the Snapdragon 840 SoC. With four cores, the chip could be more closely related to the Snapdragon 820 than the Snapdragon 835 chipset. The latter, which comes with an octa-core CPU, is currently being used by the current generation of top shelf phones. 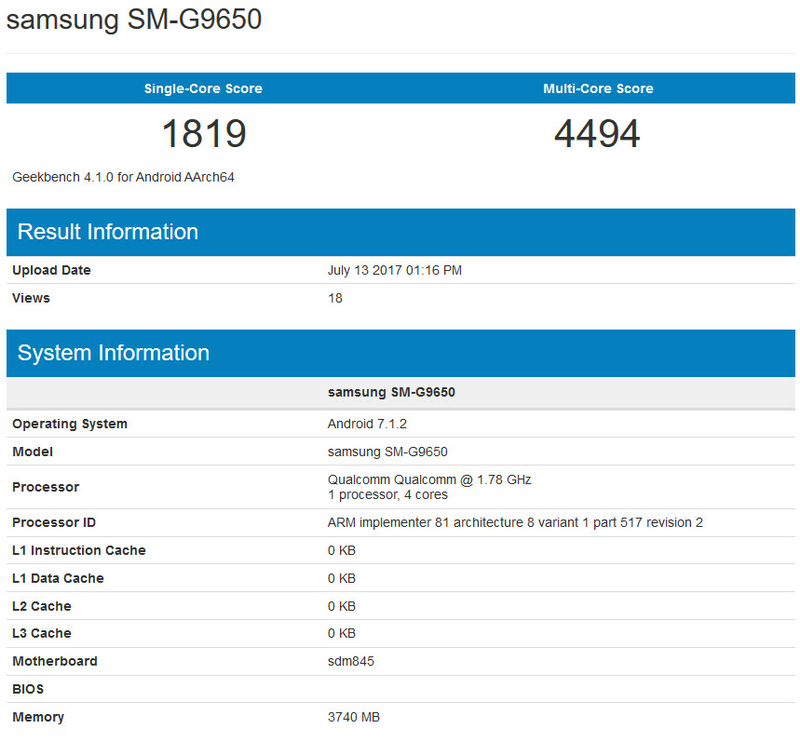 Now, another Samsung model apparently related to the earlier discovery was also found on Geekbench. This time, the model number is SM-G9650 and under the hood is the sdm845, or Snapdragon 845 SoC. Like the Snapdragon 840, this chip also carries four cores which were tested at 1.78GHz. 4GB of RAM is inside the device with Android 7.1.2 pre-installed. The first thought that comes to mind is that these are the rumored lite versions of the Samsung Galaxy S8 and Galaxy S8+. 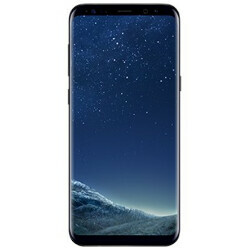 The model numbers of SM-G9600 and SM-G9650 seem very intriguing compared to the SM-G950 and SM-G955 used on the Samsung Galaxy S8 and Samsung Galaxy S8+, respectively. The SM-G9650 scored 1819 on the single-core test and 4494 on the multi-core test. The SM-G9600 scored 1782 on the single-core test and 4212 on the multi-core portion. Those results pale in comparison to the Galaxy S8 and Galaxy S8+ Geekbench test scores, which would seem to indicate that these new models found on Geekbench today are indeed lite versions of the Samsung Galaxy S8 and Samsung Galaxy S8+. 'Lite' version of S8 sounds disastrous lol. It needs all the power it can get to help improve performance. Hopefully the software is better optimized and throttling issues have been resolved. If not, this will be Sammy's third laggy flagship release to date. Not a good look. Hi, kiko007 brother, are you an ifanatic apple advocate as well? When was the last time you've owned a Samsung phone? Your obsession with Samsung is downright unhealthy. I recommend therapy. How can the "lite" version if the Galaxy S8 have a flagship Snapdragon 845 SoC? Does that mean the Snapdragon 845 is inferior to the 835? WTF. It would lag a lot less with an 845 on board. Maybe its that mini S8 rumors we have heard about. Not with those weak benchmark scores.